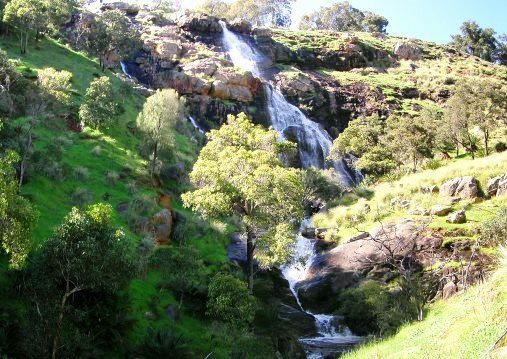 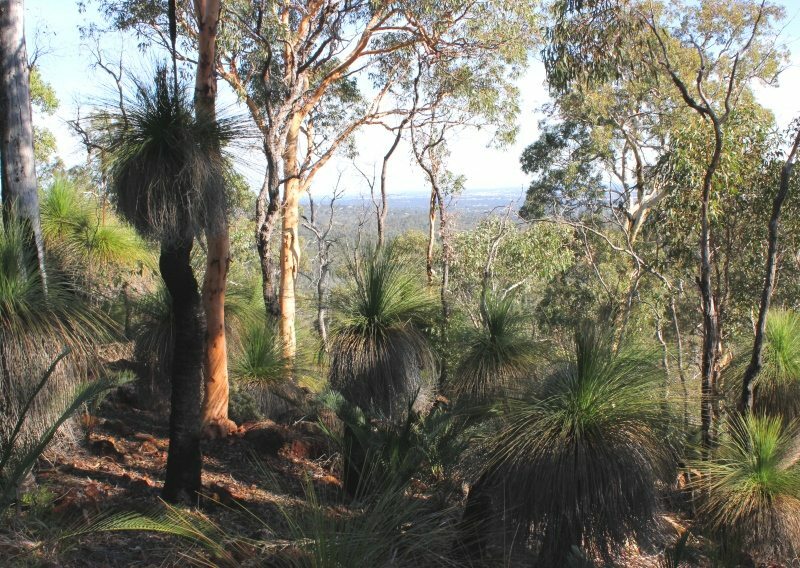 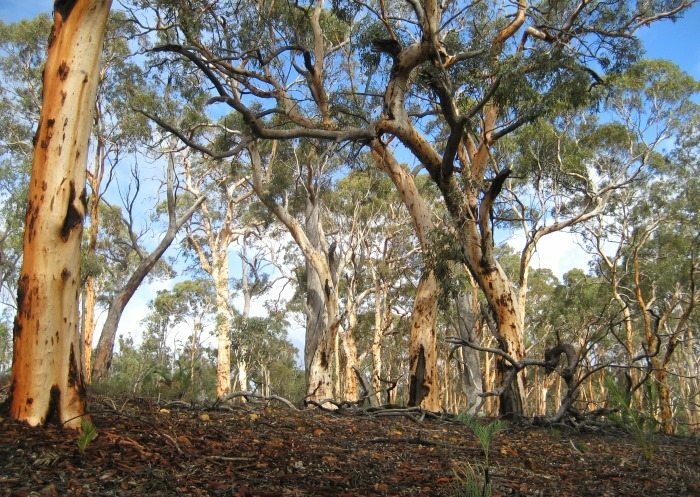 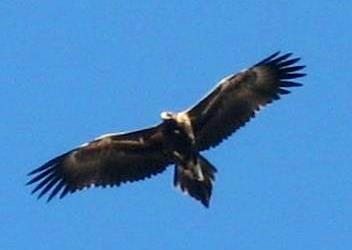 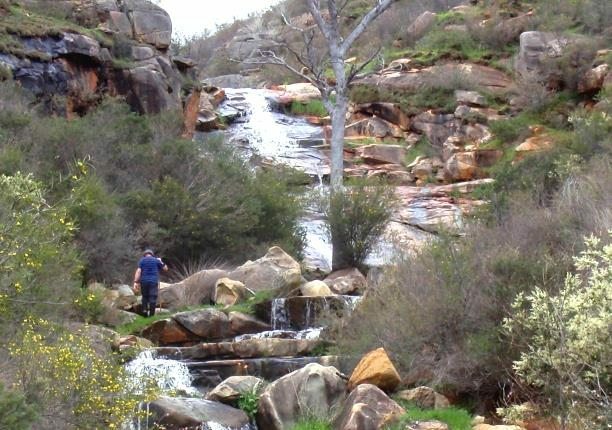 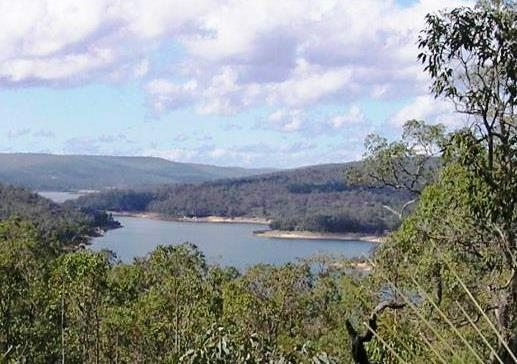 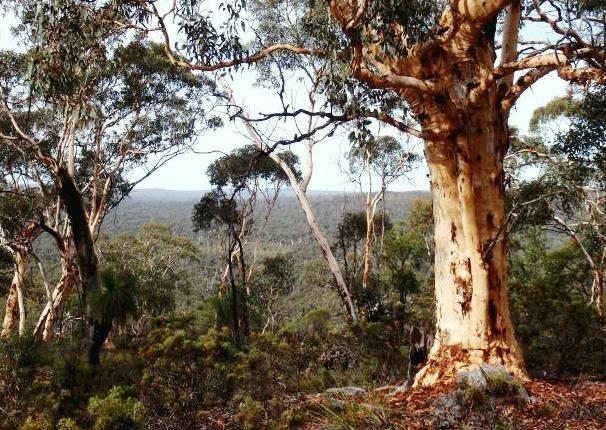 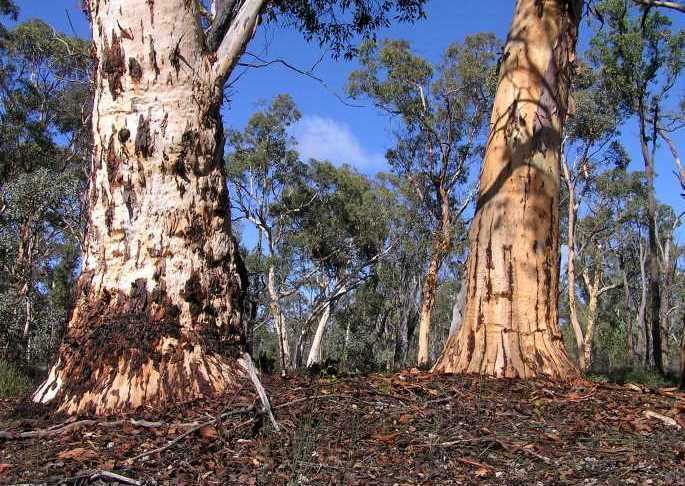 The Darling Range near Perth offers a wealth of wonderful but poorly-known bushwalking opportunities for those ready and adventurous enough to explore beyond the Bibbulmun Track. 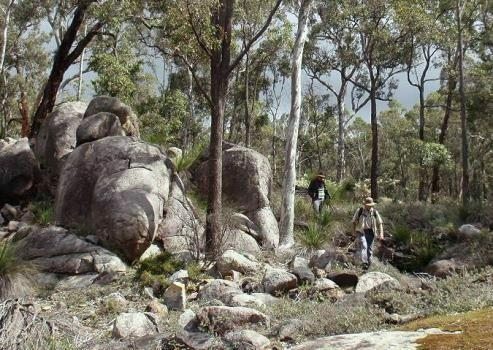 Use GPS waypoints, ‘tracks’ and walk route maps on this site to discover more than 70 excellent circuit day walks in the region – a total of more than 1000km of local walking opportunities in our parks and state forests. 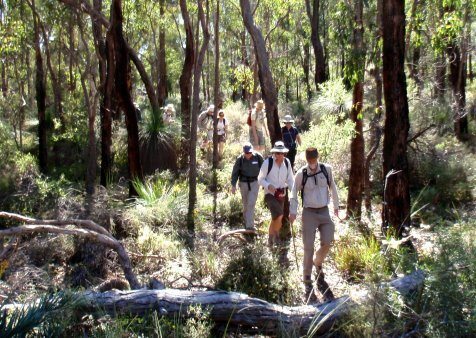 A majority of the walks on WalkGPS include cross-country hiking, so proficient navigation skills are needed. 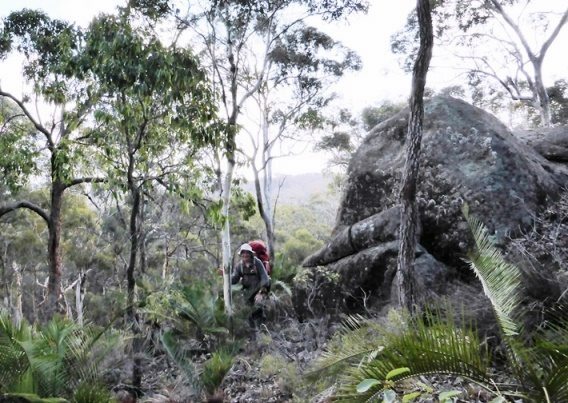 The route-finding is more suited to GPS-users than to traditional compass navigation. 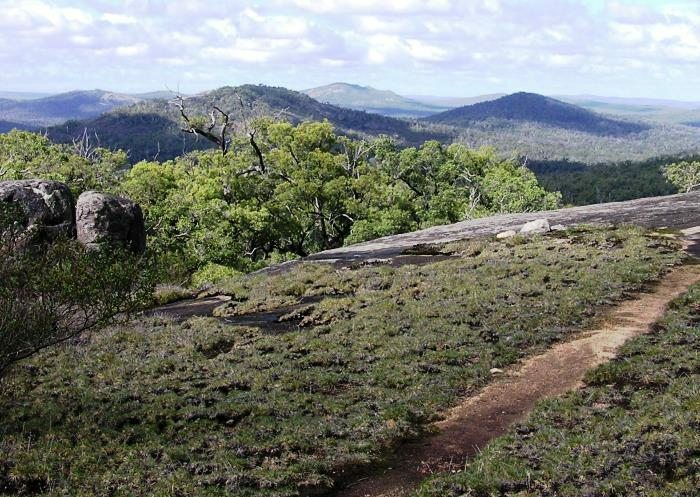 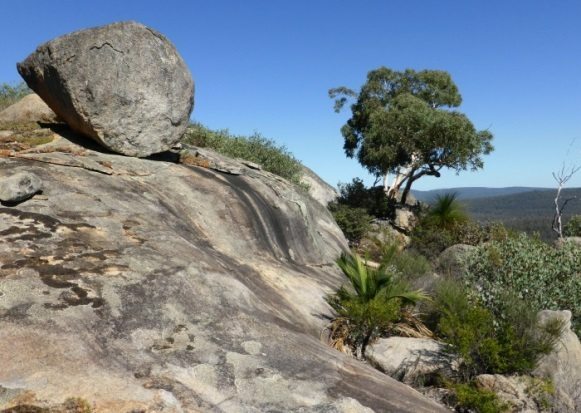 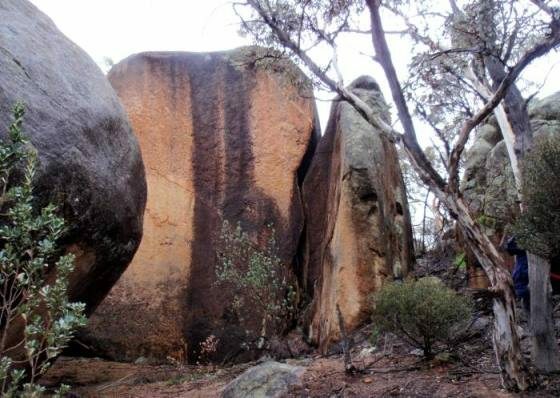 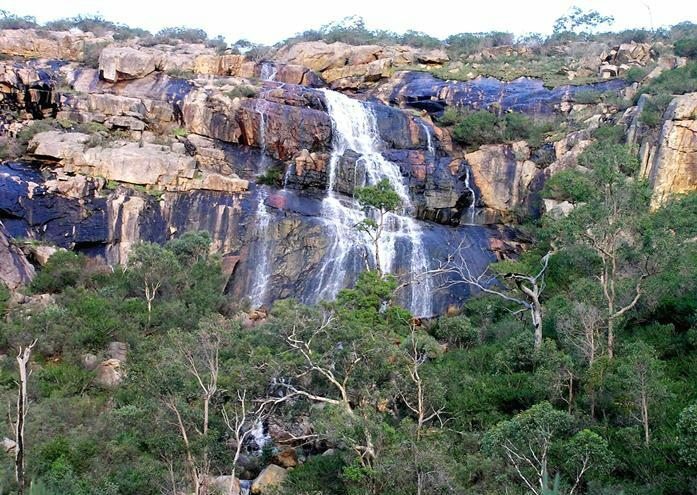 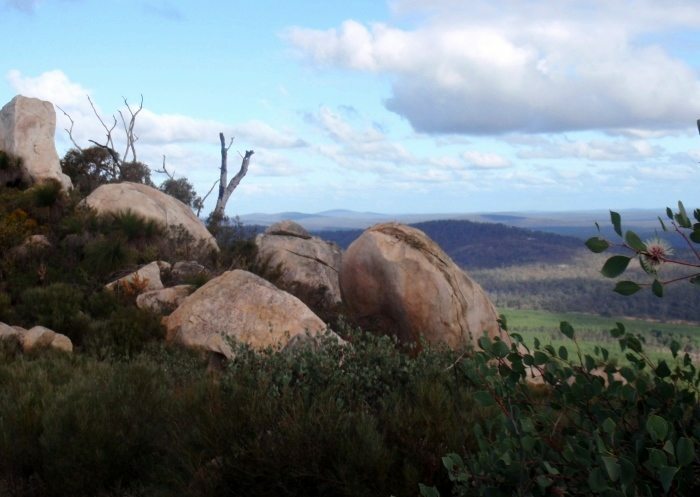 This short walk is a great way to experience the views from the highest of the granite monadnocks of the Darling Range. 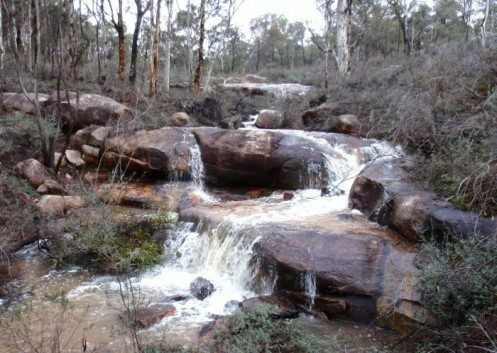 An easier walk, including about 3.5km on the Bibb. 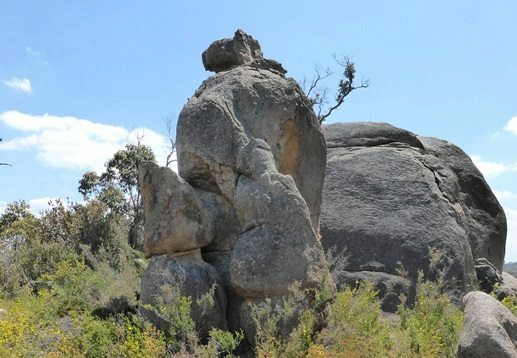 Track. 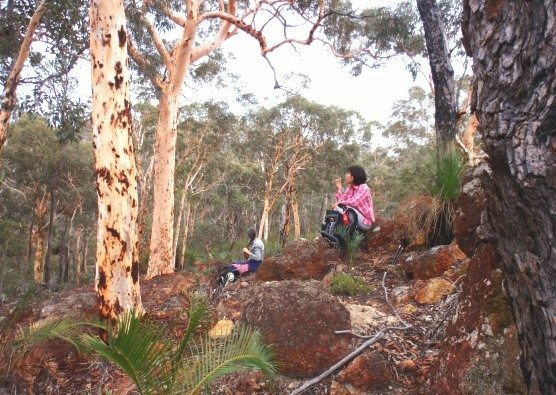 This one is almost entirely off-track, mostly through open wandoo woodlands and across laterite breakaways. 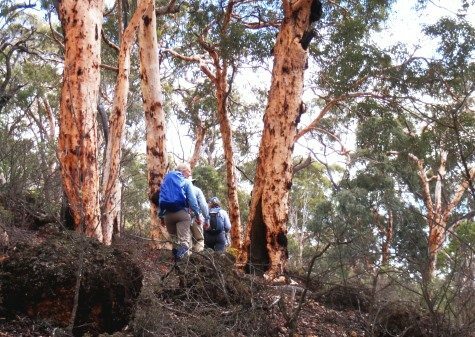 Very different to walking in the jarrah forest. 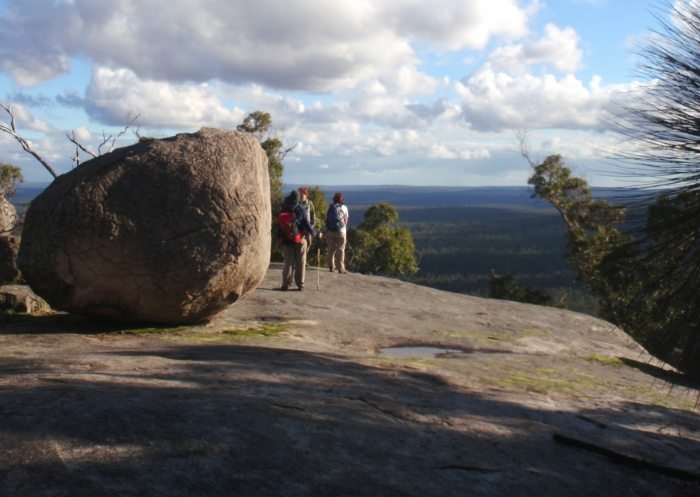 Not too challenging for a reasonably fit walker. 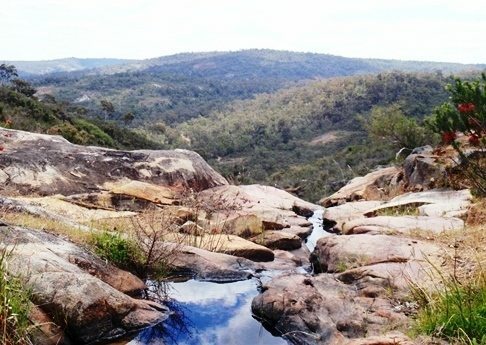 Only about 20% off-track, but plenty of variety and some small challenges, including hill climbs and stream crossings. 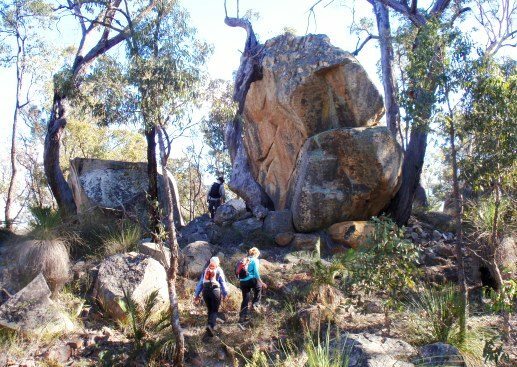 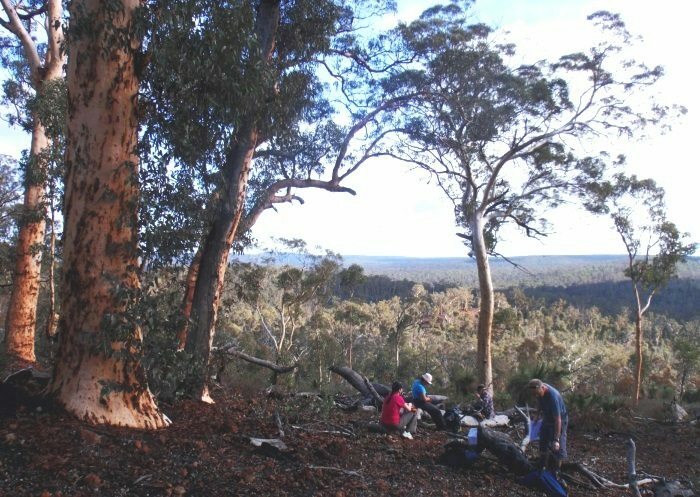 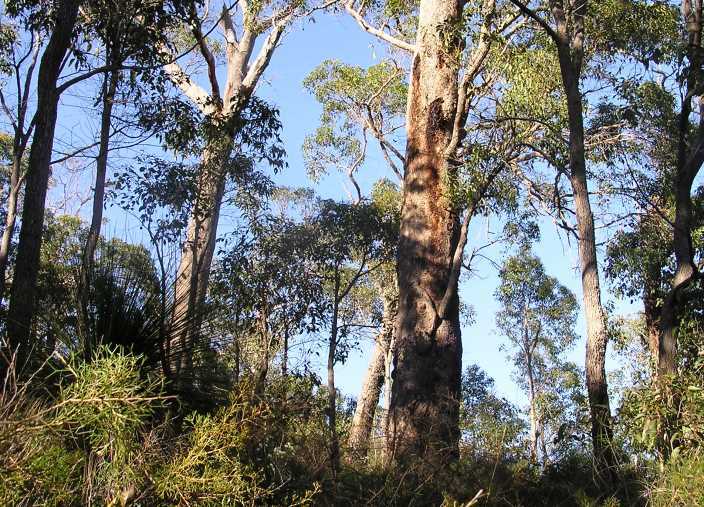 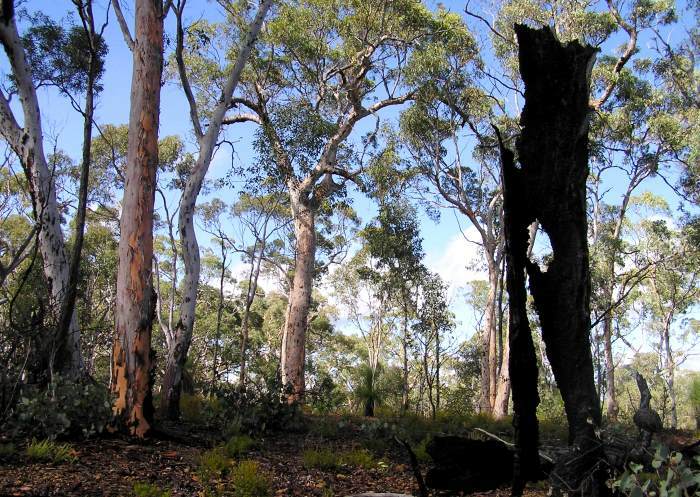 Perth Bushwalkers Club now often uses this route for introducing newcomers to bushwalking. 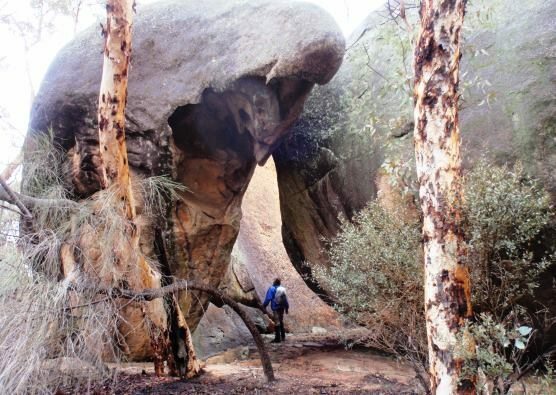 A rewarding, mostly on-track exploration of the quite rugged Wungong Gorge. 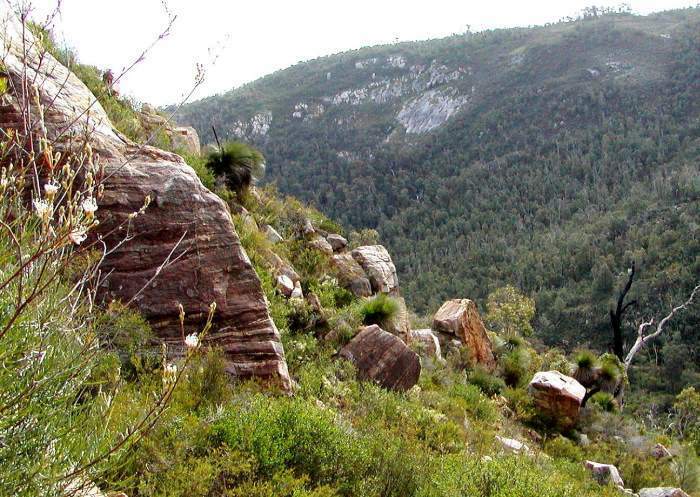 Quite challenging, but also very flexible, with alternative shorter route options.